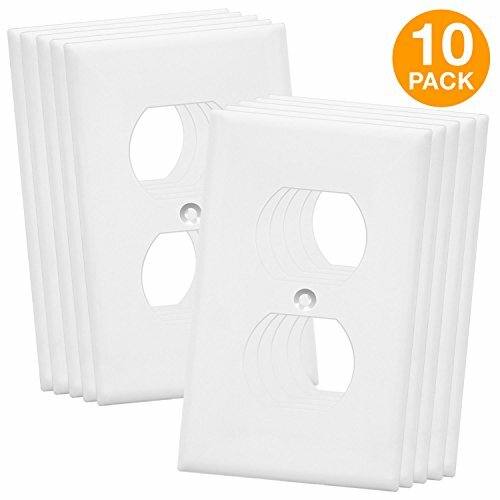 Enerlites polycarbonate thermoplastic duplex outlet wall plates are designed to cover any standard size duplex receptacle outlet. These wall plates are manufactured to provide durability, flexibility, and resilience to bending and high-impacts. They are also heat & fade resistant to temperatures over 100 degrees which protects them from fading and discoloration over time, and have a flammability rating of UL94, V2. Their smooth finish provides an attractive look and makes them easy to clean. These wall plates are UL-listed. If you have any questions about this product by Enerlites, contact us by completing and submitting the form below. If you are looking for a specif part number, please include it with your message.